There are times when a hike calls out to you. Such was the case when I read about an area called Mineral Fork in the Big Cottonwood Canyon, just outside Salt Lake City, Utah. I’d been researching hikes in and around the area for an upcoming visit when I came across the information on Mineral. The trailhead is fairly hard to find, a small, pull-off on the right side of the roadway as you ascend the canyon. It’s marked by a large steel gate which looks like a private drive, but isn’t. 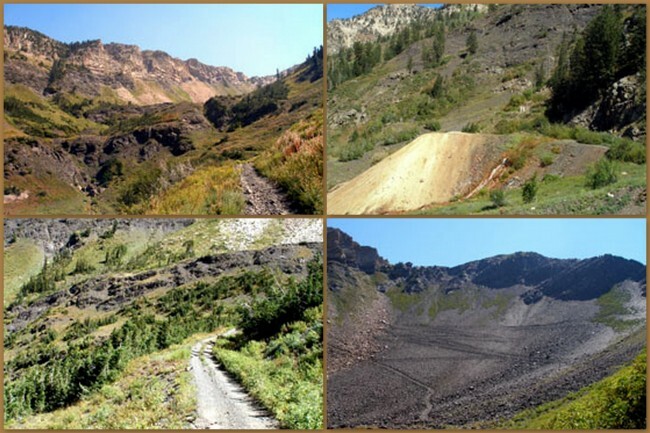 The trail is broken into three sections: the first a series of switchbacks (complete with a couple of stream crossings) from the road to the upper canyon, the second runs along the upper Mineral Fork valley and the third begins at the Wasatch Mine and takes you up to the Regulator Johnson Mine. My hike began pre-dawn on a frosty, late autumn morning. After passing behind the metal gate (elevation 6,727 feet above sea level), I immediately began a rapid and steep ascent. It was awesome watching the surrounding mountaintops light up as the day got underway. 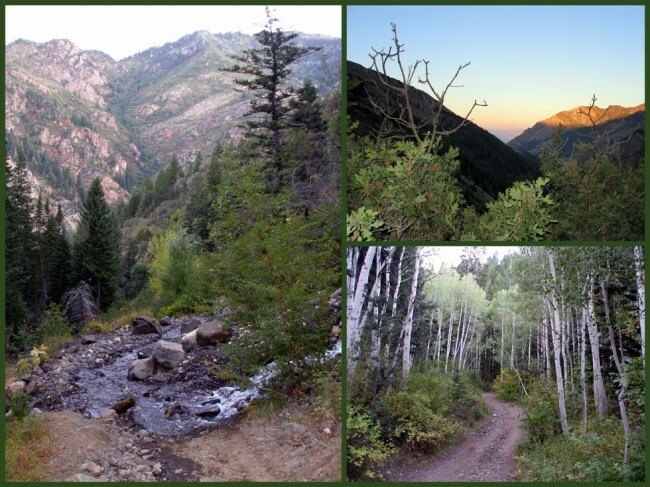 The trail follows an old road bed up to the Wasatch Mine (8,683 feet above sea level) and is a steady, uphill climb. Along the route you’ll pass countless meadows teeming with cottonwoods, choke berry, evergreens and abundant rock outcroppings. 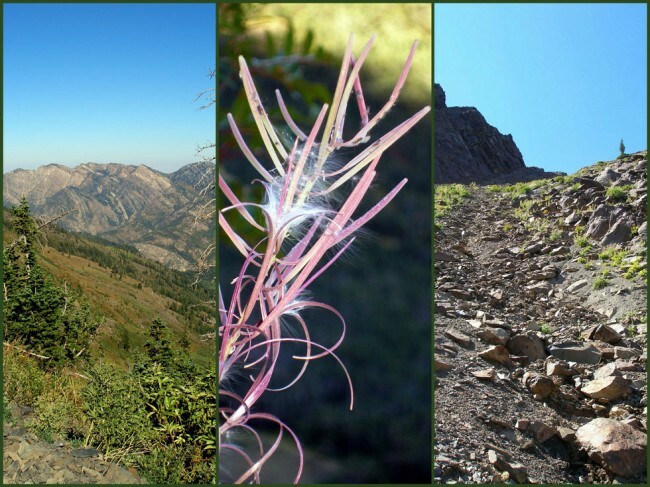 This trail is a hiker’s dream, lots to see with constant changes in the scenery. 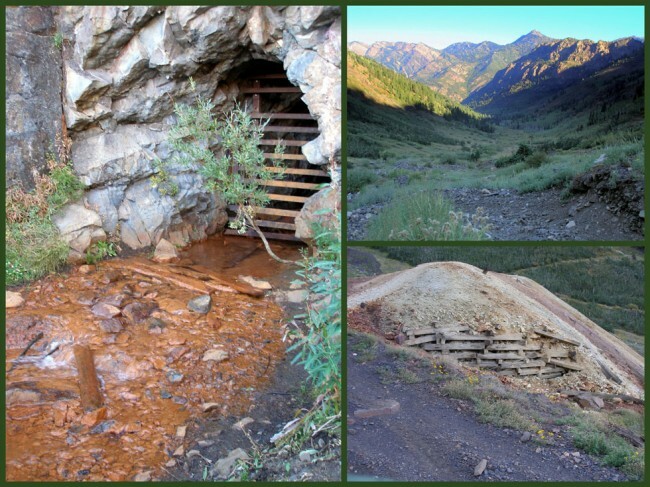 As I neared the Wasatch Mine I noticed the stream along the left side of the trail changing color, from clear to a reddish hue. This is a result of the stream passing through the pile of tailings at the mine, a site in and of itself. I took a break at the entrance to the mine to decide whether or not I wanted to tackle the rest of the trail up to the Johnson Regulator. I decided that with the time available, and the probability that I may not get back to this place for a very long time that I should “go for it”. This was no easy decision as the incline would increase significantly for the next mile and a half. Even so, this was a most rewarding experience. I climbed the largest open-view switchback I’ve ever seen and thoroughly enjoyed the experience. At the top, I was nearly at 10,220 feet above sea level, a respectable showing for a Kentuckian not used to high elevations. If you decide to try this hike, give yourself lots of time to fully enjoy it. The USGS map for this excursion is the Mt. Aire-Dromedary Peak one. This is the only trail in the Mineral Fork Canyon, but be advised it is open to ATV’s (which fortunately I did not see until the end of the day). If you make it to the absolute top (which I did not attempt for safety reasons) you’ll find yourself at the triple divide for Cardiff Fork, Mineral Fork and Lake Blanche Fork. You’ll have a great view of Kessler Peak as well as several avalanche chutes. By the time you get back down to the trailhead, you’ll have logged in nine miles.